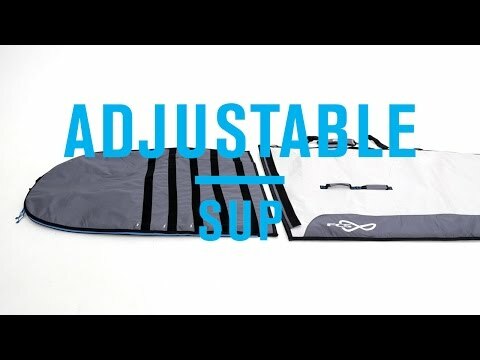 Protect your SUP against dings and UV exposure with this lightweight, adjustable bag. Fits boards from 9ft, 6in. to 11ft, 6 in. with max dimensions of 35in. wide and 4.5in. thick. Airflow system helps to remove moisture and maintain dryer internal compartments. Velcro® strips allow for length adjustability to better fit your board. Fin slot allows you to transport your SUP without removing the fin.